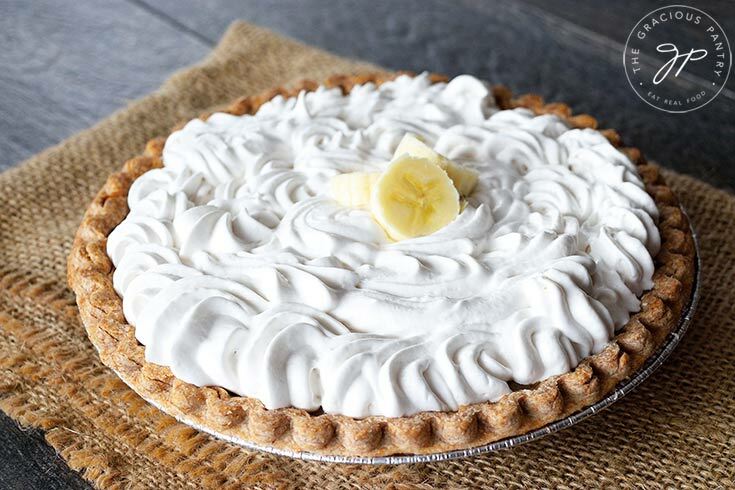 A good banana cream pie recipe makes a wonderful dessert for almost any occasion! Banana cream pie is decadent, indulgent and perfect for your holiday dessert table any time or year. But it also makes a great treat during the week! The best part is, you can make it in steps over a few days so you’re only doing a little each day, or you can make it all at once and it still won’t take you very long. Not a bad deal! 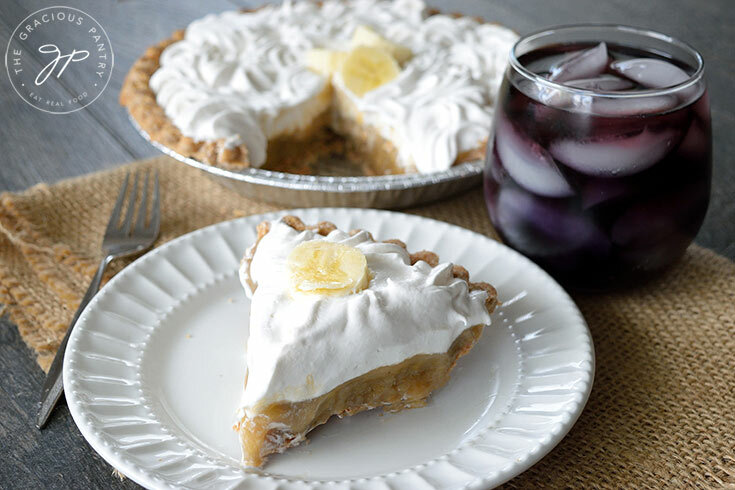 If you need to make this pie in a few short steps over a few days (instead of all at once), take one step per day. Make the crust, bake it and refrigerate it. Make the filling, pour it into the crust and refrigerate it. Top with bananas and whipped cream. 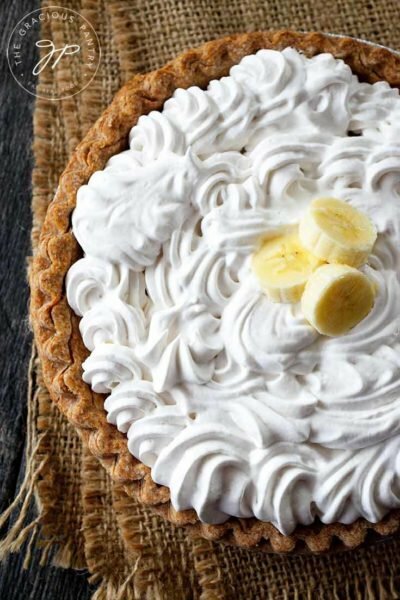 SHOULD BANANA CREAM PIE BE REFRIGERATED? Absolutely! Don’t leave it out longer then 2 hours at room temperature. To store in the fridge, simply wrap it loosely with plastic wrap. It will keep for 3 or 4 days. 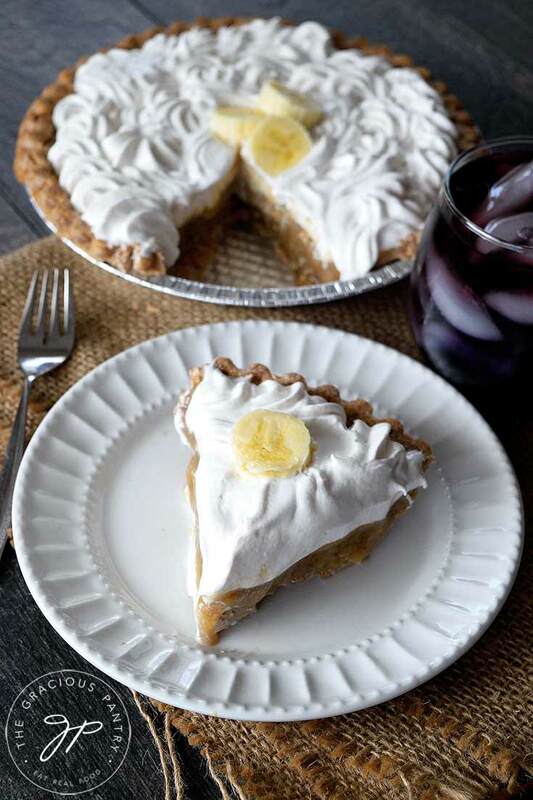 CAN BANANA CREAM PIE BE FROZEN? Yes and no. You can freeze the filled pie crust with JUST the custard filling. But you can’t freeze the whipped cream topping. It doesn’t freeze well. So if you need to freeze this, simply do so without the whipped cream and it will freeze just fine! HOW DO YOU MAKE BANANA CUSTARD? The custard portion of a banana cream pie is made with a thickener and liquid, much like making jello. Since I used arrowroot for my starch/thickener, it’s important that it gets added to cold liquid. 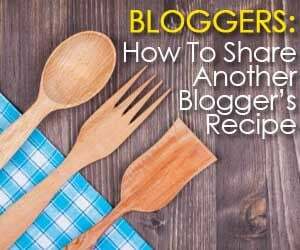 So whisk the arrowroot powder into cold almond milk and maple syrup. Then turn on the heat and continue whisking. The mixture can easily burn on the bottom of the pot, so it’s important to constantly whisk for the few minutes it takes to thicken. Plus, you’ll get a nice, smooth texture if you whisk the entire time. It doesn’t take long as it starts to gel as soon as it gets warm. WHAT TO DO WITH BANANAS ABOUT TO GO BAD? 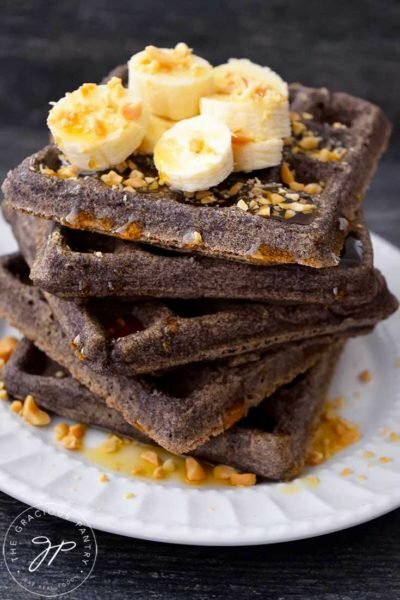 If you have extra bananas you are trying to use up, here are some more clean eating banana recipe you might enjoy to use them up fast! 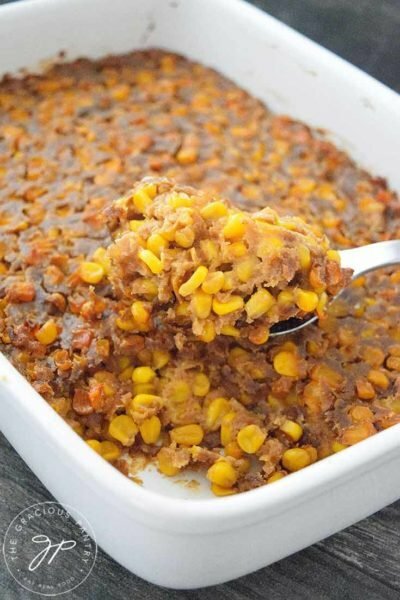 Click each one to see the recipe and even make a shopping list if you need a few more things! 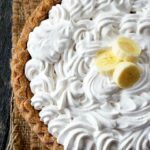 If you prefer to make whipped cream with real dairy and a natural sweetener, here’s a delicious recipe from PopSugar for honey sweetened whipped cream. 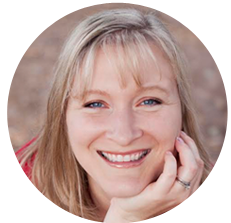 Remember to subscribe to my free, Gracious Pantry Newsletter to receive all my latest recipes in your inbox! Click here to sign up! 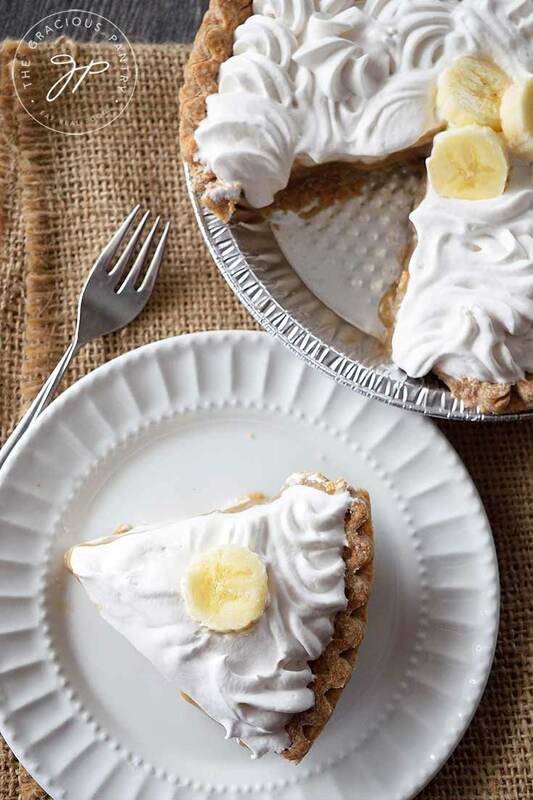 This dairy free, clean eating banana cream pie recipe is perfect for your next holiday gathering, or just for a lovely, weeknight dessert! 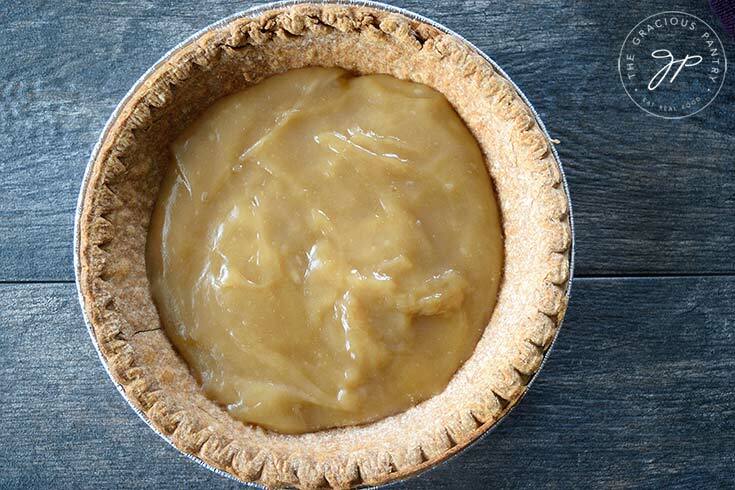 Bake your pie crust to package or recipe directions. Set aside to cool. 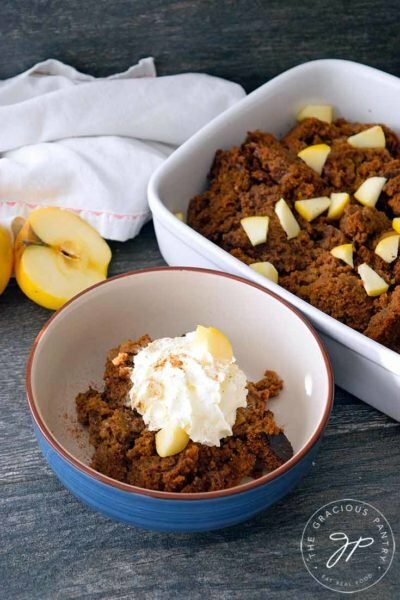 In a medium pot (do not turn on the heat yet), whisk together the maple syrup and arrowroot powder, making sure to whisk out any clumps of arrowroot. Then whisk in the coconut milk, vanilla and salt. Once the mixture has completely thickened, remove the pot from heat and using a spatula, scrape the filling into your pie crust. Place immediately into the fridge for 2 hours (or more) for cooling. 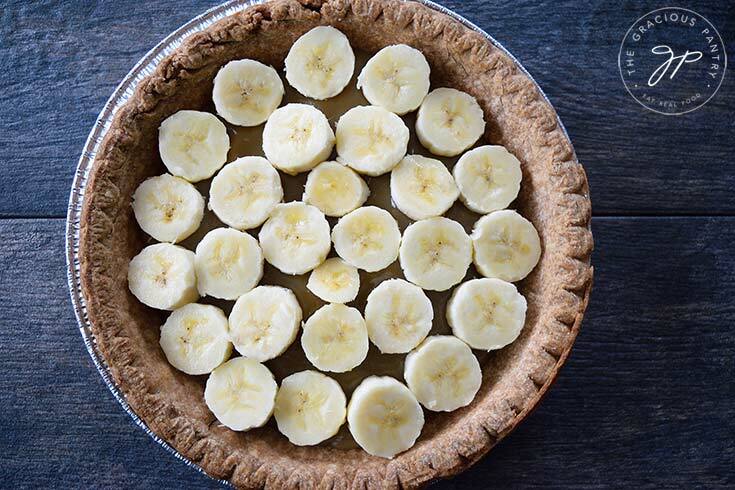 Once the pie has completely cooled, slice your bananas and place a full layer of sliced bananas over the top of the custard filling. 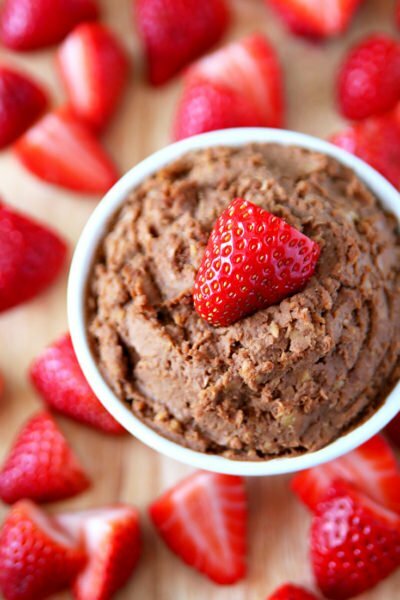 Top that off with whipped coconut cream and even a sprinkle of slice almonds if you like.